Gibson announced these a few weeks back and, no, your eyes aren’t deceiving you – that really is a maple SG. Maple’s worth as a tone wood isn’t in doubt and nobody can dispute the handsomeness of a nicely figured example but, this is the first all-maple SG. 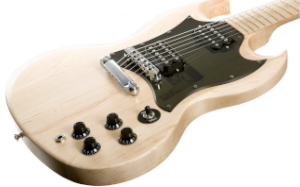 Oh sure, the guys at Gibson have dallied with maple tops and whatnot, but an SG made entirely of maple (granted, this SG does have a maple top but it’s stuck on a maple body). That’s a first. As you can see, the body, neck and fingerboard are all maple. If you’re maple-crazy, you can opt for this clear finish to show off your wood. Alternatively, you can have one of the, rather fetching, coloured finishes. All in satin nitrocellulose, you can treat yourself to gold, yellow, white, platinum, blue/platinum, ebony, olive-green, or aquamarine. They look quite nice and more than a little non-Gibson. It’s nice to see some stretching outside the traditional finishes over at the Big-G. The Raw Power’s neck is a three-ply sandwich of maple with a chunky ’50s neck profile. A maple fingerboard – radiused to 12″ and carrying 22 frets – sits on top. Headstock angle is regulation 17 degrees. As you’d expect, it’s glued in. A couple of ’57 Classic pickups provide the noise. These use Alnico II magnets and are made to the same specs as the original PAFs. 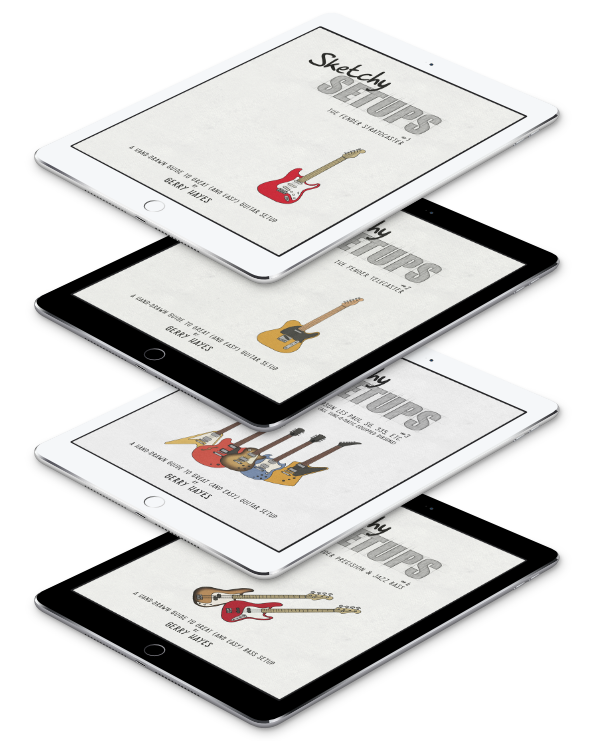 Controls are standard fare – a couple of volumes and tones with a three-way toggle. A tune-o-matic bridge and stop-tailpiece (both chrome-plated Zamak) complete the SG picture. One of the issues with maple as a tone-wood, is a tendency towards brightness (a big part of why your Les Paul has a maple top is to brighten and focus the tone). All-maple guitars in the past have sometimes been a little too ‘in your face’. However, coupled to the inherent warmth of the ’57 Classic pickups, this pairing seems quite promising. The clean sound samples on Gibson’s site are pretty tasty – clearing some of that slight muddiness that can sometimes beset Gibson’s babies. I’m looking forward to hearing one of these in the mapley flesh. Gibson are recommending a retail of US $1,664, Keep your eyes and ears peeled.